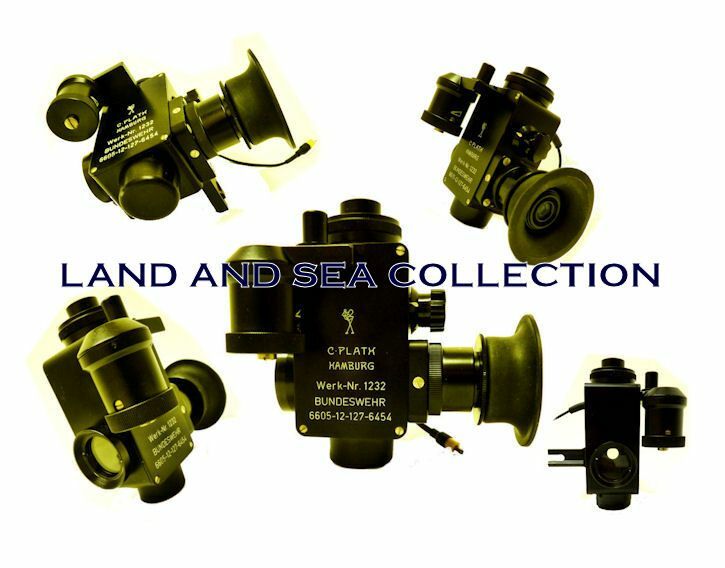 C. PLATH Fully Adjustable Artificial Bubble Horizon New! C. PLATH Fully Adjustable Artificial Bubble Horizon Brand New! 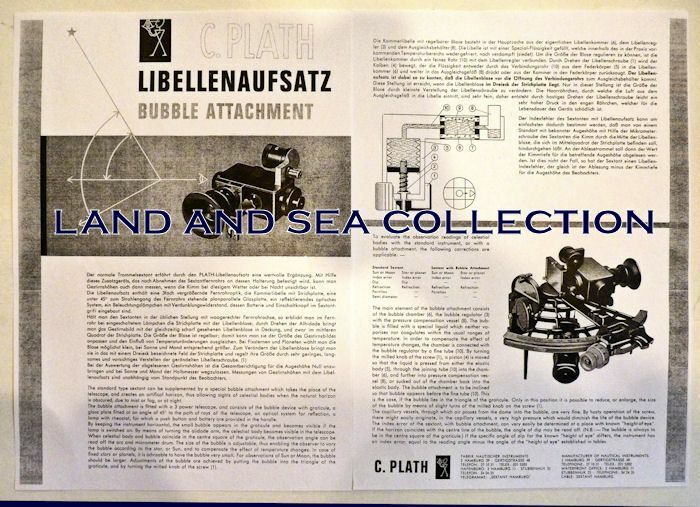 To view our current inventory of a rare C. Plath fully adjutable bubble, click here! This Very Rare Device Has Been Sold. Thank you! HORIZON - A FULLY ADJUSTABLE BUBBLE HORIZON - NEW! Fully Adjustable and Never Used! This is a once-in-a-lifetime opportunity to own a brand new, never used C. Plath Bubble Horizon that has a fully adjustable bubble and a rheostat for adjusting the brightness of the internal lighting system. The trade name, "DRAGONFLY", design dates back to WW II when these devices were used on surface ships, and submarines. 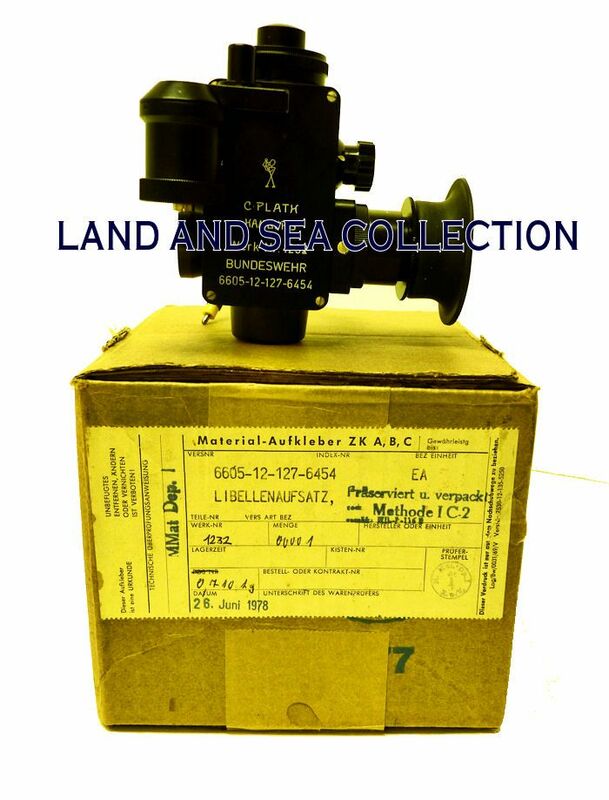 After cessation of hostilities, Plath did not get back into the sextant business until about 1954, and this version was reintroduced to the Commercial Market in 1957. Very few of them were made before they were superseded by a more simplified version that eliminated the adjustable bubble even though all users of these devices preferred the fully adjustable versions and felt the new one was a major step back-wards. Over the years, we have sold more of the non-adjustable C. Plath Bubble Horizons, including their most recent one which had neither an adjustable bubble or an adjustable light, than any other dealer, and can state unequivocally that they are all inferior to this design. Even so, all Plath bubbles are still highly sought after by ocean going navigators and advanced collectors. The fact that this one is brand new and comes with the original box it came in thirty four years ago, dated 28 June 1978, makes it a prize, second to none. There should be no question of its absolutely outstanding flawless condition. In the photograph below, it is shown alongside the last bubble horizon design made by C. Plath which has an internal power supply. Like all Plath bubbles except for the one being offered, the size of the bubble is not adjustable. On July 3, 2008, Ken Gebhart of Celestaire wrote us that the last version was discontinued around 2001, and sold new for $1,700.00. DIRECTIONS & INSTRUCTION SHEETS: A Plath sheet of instructions in German and English comes with the device. There also will be a diagram of the internals and a diagram of the geometry of the optical system. The device is simple to use and provides an artificial horizon using a circular illuminated bubble as a substitute for a horizon reference. The bubble is centered at the midpoint of the viewing area and the celestial body is brought into coincidence with the bubble's center. Intensity of the internal light is adjusted by a small knob on the front. Bubble size is adjusted, by the larger rotary dial on the base of the cylinder on the left. A large bubble is preferred for sun and moon sights, and a smaller bubble for stars and planets. The ocular lens is adjustable. PROVENANCE: Formerly owned by the world's foremost collector of C. Plath contemporary sextants with a specialty in Plath artificial bubble horizons. 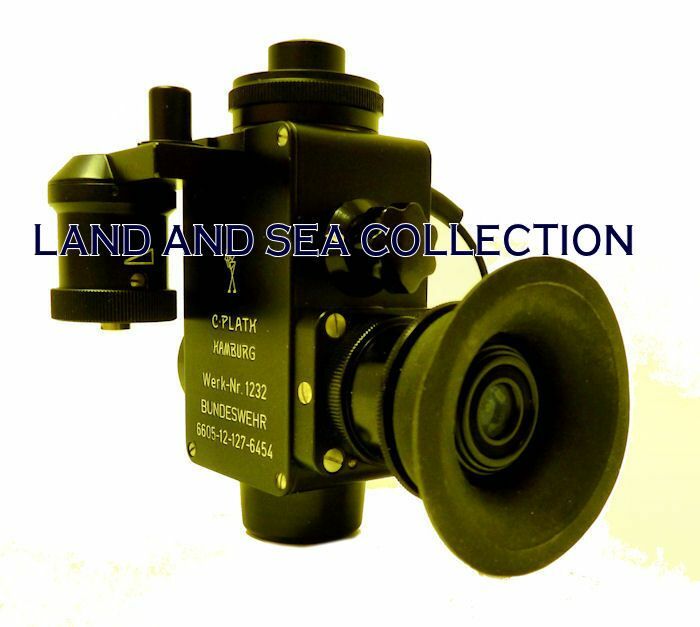 USABLE WITH: As pictured above, it fits the C. Plath Navistar Classic sextant. With an external battery supply it will work with Ca 1990 C. Plath sextants, Cassens & Plath, Tamaya, Freiberger, and the Russian CHOT/SNOT. SUGGESTED USE: The bubble horizon has a 2 power optical system and a smaller than normal field of view. The internal dampening mechanism of the bubble is greater than will be found on less costly alternatives, but requires some practice in getting used to. 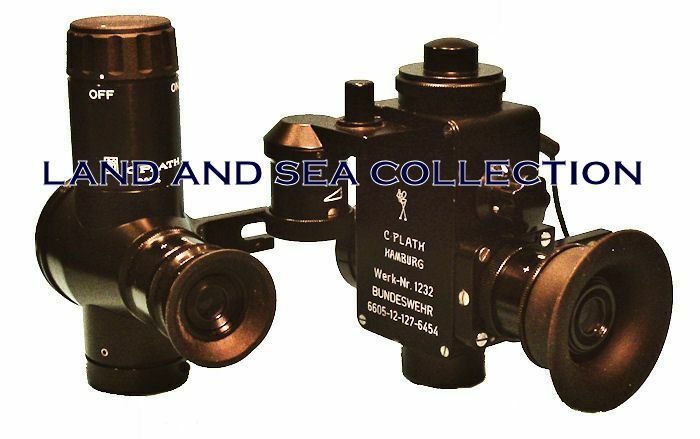 The Plath, fully adjustable, Bubble Horizon is far superior to all other artificial horizons and the devices that can only be used for objects with altitudes of less than 60 degrees, and cannot be used for twilight sights. 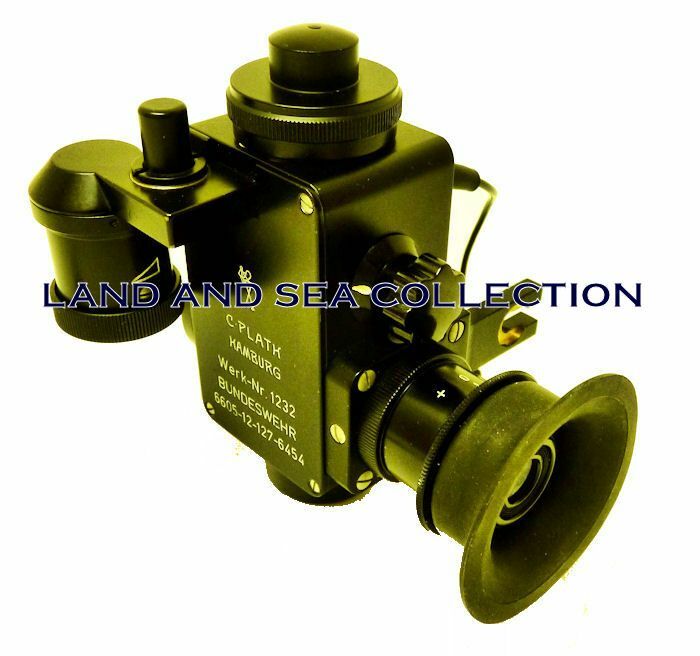 This makes it ideally suited for land based training applications, for land navigation and for use at sea from ships large enough to be a stable platform. 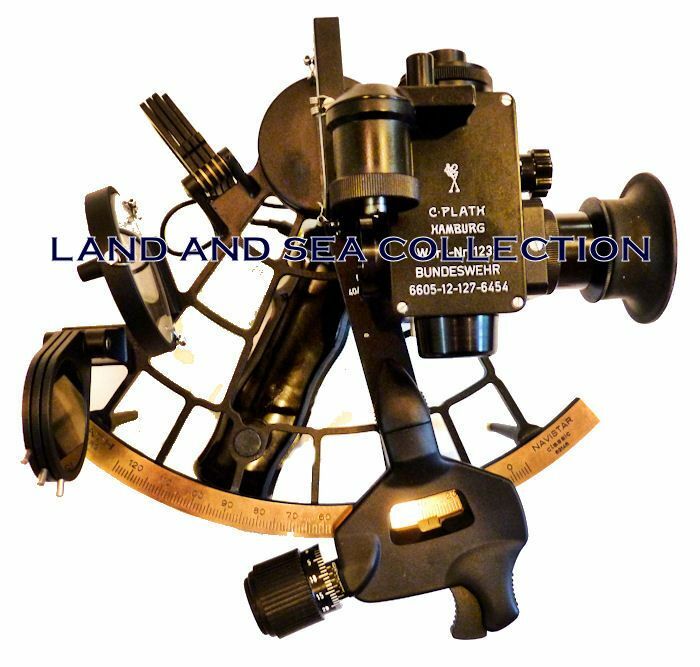 Interestingly, in the 1970-80's this device, in the form being sold, was issued to U.S. submarines for back-up celestial navigation. Ref. Dutton's Seamanship & Navigation, 12th Edition, Article 2206, page 385. It is suited for someone who can appreciate obtaining a New device and fine sophisticated aspects of its design, and is willing to pay an appropriate price for this level of C. Plath quality and excellence. Never before have we oferred a C. Plath Bubble Horizon of this design and only three other times have we sold brand new versions of their less sophisticated models. We doubt that there will ever be another opportunity like this one.